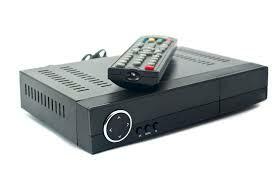 For years condo corporations offered cable television to suites paid for by monthly condo fees. Cable companies benefit from having a single client – the condo corporation – while servicing hundreds of individual homes. 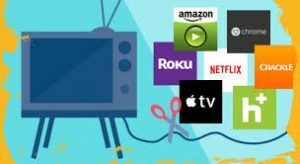 The cost of obtaining cable service in this way tends to be dramatically lower than if each resident individually purchased services. Fewer condo corporations now offer this amenity. Some choose not to include cable services as a way to maintain lower condo fees. Others feel the diversity of offerings now available makes it difficult to choose one option appealing to all residents. Newer services providing high-speed internet, and telephone and television over the internet, are increasingly becoming available to condo buildings and their residents. These newer services are requiring condo boards to make some difficult choices. One Toronto condo corporation that has offered cable television service paid through condo fees for 25 years made the switch. It entered into a contract to provide all suites with high-speed internet and IPTV (Internet Protocol Television). Some perceive this as a benefit. Condo fees now include internet access and easier access to Netflix for those that want it. Side benefits may include building-wide wireless internet access in common areas and lower cost telephone services. Some will be dissatisfied with the switch. Available channels and equipment may change. Some of the savings may be lost to individual owners as discounts on other Rogers or Bell services change to reflect service reductions. The value of offering internet and IPTV to condo residents through the condo corporation is one of cost, convenience and choice. A single service for all suites is nearly always more economical than each resident purchasing the same services. Multiple services with similar offerings provide greater choice although likely at higher cost. Condo boards with authority to make these decisions will come to different conclusions about the optimal combination of services provided through condo fees depending on the demographics of their building.